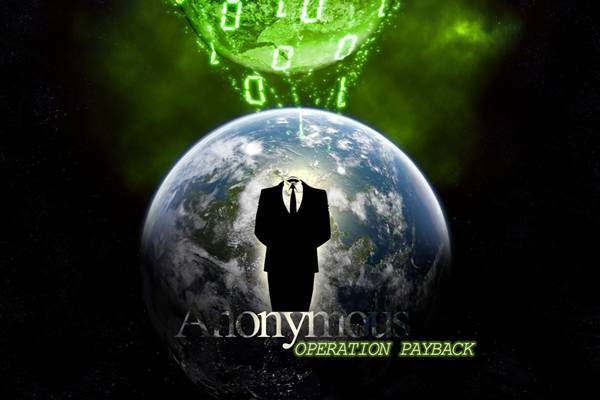 'Anonymous' Hackers Take the Battle to Fax Machines ! 'Operation Payback' is taking a new twist, as attackers have begun a new fax-based campaign against some of the companies that cut ties with WikiLeaks. Hacktivists with 'Anonymous' are encouraging members to send faxes to Amazon, MasterCard, PayPal, Visa, Tableau Software and Moneybookers in a bid to launch a fax-based version of denial-of-service, according to Netcraft. During the past several days, the group has launched distributed-denial-of-service (DDoS) attacks against Websites belonging to a number of companies and organizations, including MasterCard and Visa. "This latest campaign by the Anonymous group is analogous to the distributed denial of service attacks it has been carrying out against websites over the past week," blogged Netcraft's Paul Mutton. "In essence, this has turned into a DDoS attack against fax machines. The group started the fax-attacks (Dec. 13) at 13:00 GMT and published a list of target fax numbers in their call to arms." "The Anonymous collective are being encouraged to send faxes of random WikiLeaks cables, letters from Anonymous, Guy Fawkes, and the WikiLeaks logo to the target fax numbers all day long," he continued. "It is not clear how many people are taking part in the attacks, but an IRC channel set up to provide information about the campaign contained 73 users just a few hours after the fax-attacks started." But there is a saying about glass houses and stones, and the digital version is playing out in this case as well, as Anonymous has found itself under attack for supporting WikiLeaks, Mutton wrote. "Many users were knocked off its IRC network after its servers came under attack (Dec. 13)," he blogged, adding the anonops.eu domain that used to announce the locations of IRC servers and the current attack target) came under attack as well.